301 N Main Street, Mount Airy, NC | Click for directions. $25 per person with coffee and dessert included! 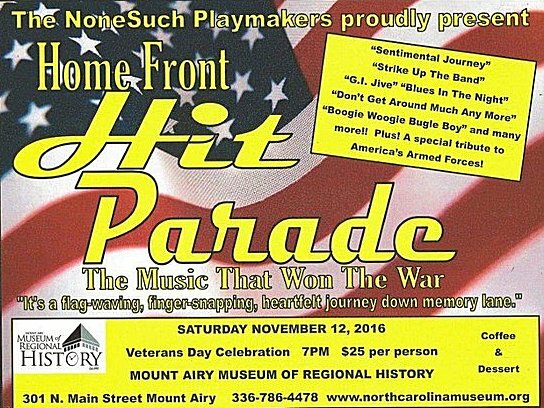 Call 336-786-4478 for ticket information or stop by the Museum! Shanna Jones as "Sugar Jones"
Ray Jones as "Johnny Ray Two-Tone"
David Nielsen as "Tom Collins"
Brian Greene as "Milo Sound"